What is import set in ServiceNow? What is OLA in ServiceNow? What is transform map in ServiceNow? How to import CSV in ServiceNow? How to import ServiceNow remote file? How to import data in ServiceNow? What is Guided setup in the ServiceNow? What is integration in the ServiceNow? What are different ways of Reporting in ServiceNow? What are SLA and OLA in the ServiceNow? How automation is possible in the ServiceNow? Which is top application of ServiceNow as attraction point? What is CMDB and Asset management in ServiceNow? What is Application Development in the ServiceNow? What is Virtual Agent in ServiceNow? Ans: Import sets allow administrators to import data from various data sources, and then map that data into ServiceNow tables. To import data users can define a data source and transform map, and run or schedule an import. Ans: An operational-level agreement (OLA) defines the interdependent relationships in support of a service-level agreement (SLA). The agreement describes the responsibilities of each internal support group toward other support groups, including the process and time frame for delivery of their services. The objective of the OLA is to present a clear, concise and measurable description of the service provider's internal support relationships. Ans: ServiceNow Orchestration extends the workflow engine to manage processes and to automate things outside of a ServiceNow instance. Orchestration is available as a separate subscription from the rest of the ServiceNow platform. Orchestration automates simple or complex multi-system tasks on remote services, servers, applications, and hardware. An Orchestration process can cross all management disciplines and interact with hosted services and all types of infrastructure elements. These capabilities provide a powerful system for managing IT and Business processes quickly and reliably. Ans: A transform map is a set of field maps that determine the relationships between fields in an import set and fields in an existing ServiceNow table. For example inbound data has field name of priority and severity of incident, we can map to ServiceNow incident fields like priority and impact respectively. Ans: You can process CSV files that are delimited by common or a character other than commas. CSV files are used as a cross-compatible file format for transferring files across platforms. A CSV file is a text file that defines a grid, where commas define columns and line breaks define rows. To define precise spacing for importing strings, you can optionally wrap text in quotes. Ans: We can use the SFTP File Transfer activities to manage files and directories on an SFTP server and to move files from one SFTP server to another. The SFTP activity pack includes scoped activities for common file transfer tasks and a ready-to-use workflow that includes these activities. We can use the SFTP workflow to control which files are going to be moved, what conditions the files need to meet, the order in which the files are moved, and which overwrite options are executed. Ans: To import data we need to define a data source and transform map, and run or schedule an import. Data source need to configure with type of input we need, for example file import, JDBC, LDAP. Then we need to fetch all data into import table and need to create transform map with mapping fields of import table to target table and run the transformation using schedule. 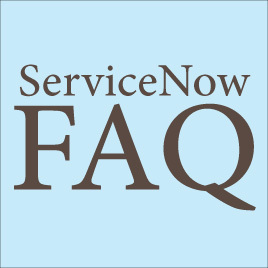 Ans: ServiceNow provides a reloaded application like ITSM and ITOM with every instance of ServiceNow. We may need to change this according to need of our organization. So using Guided Setup utility, we can do required customization in the ITSM, ITOM, Performance Analytics and Normalization of data services system. It also have guided setup for other applications like ITFM, APM and other plugins you may enable. Ans: ServiceNow also support 3rd party application related integration by communication with those systems and exchanging data among them. There are several ways to do integration using Inbound / Outbound Actions, REST & SOAP API, MID Server, and SSH or SFTP services. Data sources can also be used for intelligence to know data formats, modify and process it on the fly before delivered to ServiceNow. Ans: There are several ways like using Reporting application, Custom Reporting, Performance Analytics. Using these ways we can create user dashboards and homepages to represent data he/she is interested in. We can also use CMS and Service Portals to do out of the reporting to user. Ans: Service Level Managers are responsible for a set of agreements between a service provider and customer that define the scope, quality and speed of the services being provided. Service level agreements (SLAs) provide the customer with an expectation of service within a known timescale and the ability to monitor when service levels are not being met. An operational-level agreement (OLA) defines the interdependent relationships in support of a service-level agreement (SLA). The agreement describes the responsibilities of each internal support group toward other support groups, including the process and time frame for delivery of their services. The objective of the OLA is to present a clear, concise and measurable description of the service provider's internal support relationships. Ans: ServiceNow has capability to let user define Workflows according to their need and schedule them accordingly. ServiceNow Orchestration leverage functionality of Workflows along with REST / SOAP APIs and MID server to do automation. Ans: Service Catalog. It enables organizations to charge forward with their digital transformation and deliver a wide range of products and services through a modern and user‑friendly storefront. Users enjoy greater self‑service satisfaction and faster request fulfillment just as they do on their favorite consumer sites. Ans: Asset management and configuration management (CMDB) are related, but have different goals. Asset management focuses on the financial tracking of company property. Configuration management focuses on building and maintaining elements that create an available network of services. Ans: ServiceNow applications to be purchased, downloaded, installed, enabled or 'developed' in the ServiceNow. ServiceNow provides Studio for development of application in the “application scope” to develop system that can be used to make system operational, according to any other requirement of the organization. Ans: Virtual Agent is a chat bot solution that helps you build conversational workflows for employees and customers to resolve common ServiceNow actions (IT requests, HR tasks and customer service inquiries) via the chat interface of your choice.